Last week Matt Lee & Ted Lee, better known as the Lee Brothers to fans of fare from south of the Mason-Dixon Line, reminded us that Italian culinary influences in America are sometimes more subtle than we suspect. We were delighted to read their New York Times article, an exhaustive but light-hearted examination and remake of a complex poultry stuffing recipe once jotted down by Marilyn Monroe. The Lee boys managed to trace the probable origins of the recipe back to the thrice-wed starlet’s second set of in-laws—the Sicilian family of first-generation American and baseball legend, Joe DiMaggio. Joe and Marilyn were married in 1954, a union that lasted less than a year but whose culinary effects seem to have persisted. Among the ingredients that gave the Lees some clues were oregano (not too common an American ingredient in the 1950’s unless you had an Italian connection) along with the combination of pine nuts, chestnuts, and raisins—very Sicilian (as well as very eastern Mediterranean: Greek and Arab influence lives on in Sicilian kitchens). The casual addition of a “1 handful” of “Parmisan” [sic] cheese reminds us how our grandmothers measured and that U.S. food manufacturers were catering to Italians with ready-to-use products. What better way to enrich a holiday stuffing than to toss in grated cheese? Most Siciliani would never have tasted Parmigiano; southern Italian grating cheeses (such as pecorino) were almost always made from sheep’s milk. But Progresso and Kraft gave cooks with roots in the impoverished southern provinces opportunities to express their pan-Italian soul with one of America’s most abundant agricultural commodities. 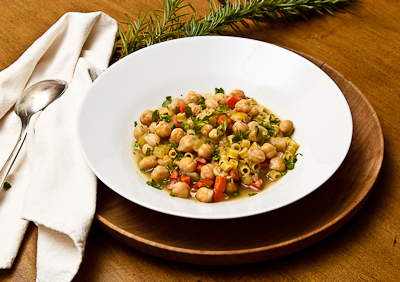 What reinforces the Sicilian link for us is the use of bread as the main ingredient in the stuffing. This wouldn’t seem unusual, except that sourdough bread (in this case, from San Francisco) is specified. 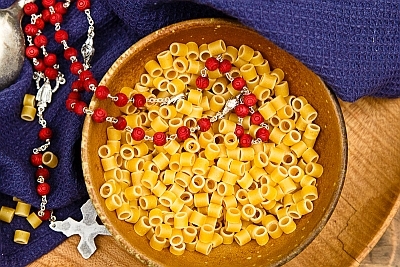 Of all the Italians who landed on American shores, none revered bread more deeply than the Sicilians—many of whom left Sicily too destitute to have ever considered pasta a staple. Finally the Lee Brothers clinch their argument in favor of Italian influence by pointing out that Marilyn’s recipe begins with the scrawl: “No Garlic”—an omission that stands as a poignant testimony to how immigrants might forgo a favorite flavor as they struggled to assimilate into mainstream America. 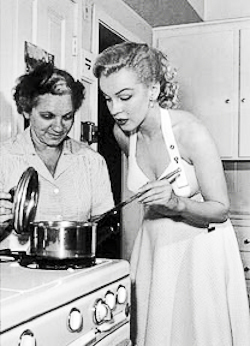 While we think Marylin Monroe’s stuffing recipe sounds pretty good, in our heart of hearts, we know that we (along with the DiMaggios) would have preferred to add some garlic and peperoncini sautéed in a little olive oil. But don’t take our word for it—read the recipe and decide for yourself. We think you’ll agree that it’s almost—but not quite—Italian. This entry was posted in Commentary on November 18, 2010 by hollychase.